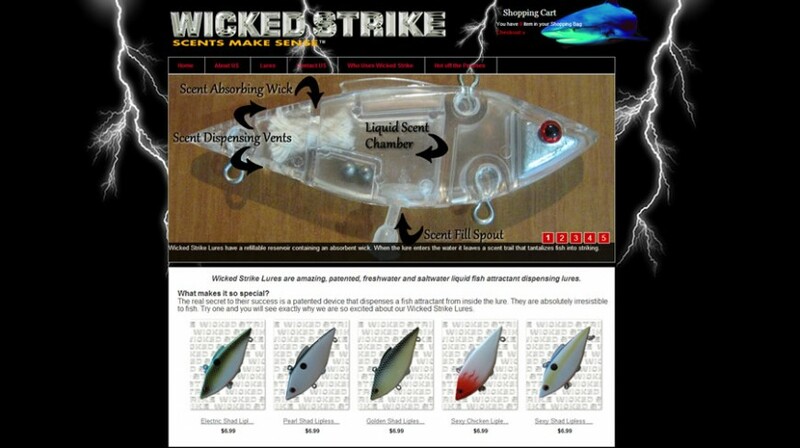 http://www.WickedStrike.comWicked Strike Lures are amazing, patented, freshwater and saltwater liquid fish attractant dispensing lures. The real secret to their success is a patented device that dispenses a fish attractant from inside the lure. They are absolutely irresistible to fish. Try one and you will see exactly why we are so excited about our Wicked Strike Lures.